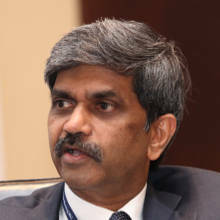 Rama Bijapurkar is a leading management and market research consultant who also serves as an independent director on the boards of ICICI Prudential Life Insurance, Axis Bank, Bharat Petroleum, CRISIL and Godrej Consumer Products, among other companies. She is the leading voice on India’s burgeoning consumer market, having advised major global and Indian corporations on their market strategy. She also studiously observes and researches the consumption patterns of her fellow Indians and is the author of We Are Like That Only: Understanding the Logic of Consumer India. Bijapurkar is an alumnus of the Indian Institute of Management in Ahmedabad, where she teaches a seminal course on strategic marketing. 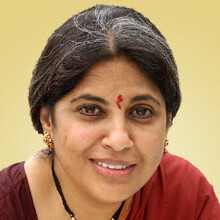 She is a respected columnist and has written for The Indian Express, The Economic Times, Forbes India and Businessworld. His most recent book, published in May 2014, is Redesigning the Aeroplane While Flying: Reforming Institutions. 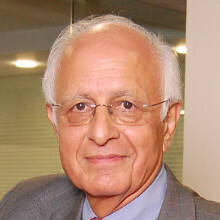 His earlier books include Remaking India: One Country, One Destiny;Transforming Capitalism: Improving the World for Everyone, and Shaping the Future: Aspirational Leadership in India and Beyond. His new book, An Upstart in Government: Journeys of Change and Learning (Rupa), is expected to be released in August. The theme of the book is: the progress of nations and organizations has to be a cooperative endeavour. A good society is one that enables each individual to realize his or her aspirations. Everyone must cooperate to create such a society. The book should be of great interest to leaders in government, in the private sector, and in civil society organizations also. For they must all create better cooperation systems within their enterprises and with each other too. Harsh Mariwala is the founder of the Ascent Foundation, a non-profit, peer-to-peer platform for entrepreneurs. Its core philosophy is to create sector-specific 'trust groups' of folks who have founded startups and want to scale them up to the next level. The idea is to gain perspectives from fellow entrepreneurs on the hurdles they face while trying to grow their businesses. In October 2014, Ascent had 26 trust groups of 338 entrepreneurs spread across India. By 2022, Ascent aims to increase that number to 10,000 entrepreneurs. 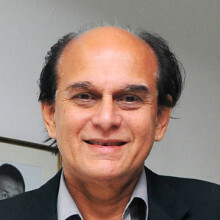 Prior to starting Ascent, Mariwala was chairman of Marico, a consumer goods company, best known for brands like Parachute hair oil and Saffola. In 1971, when Mariwala, born into a traditional business family, took over the reins of the company, its revenue was just about $75,000. Over the next four decades, he turned Marico into a formidable, professionally-run multinational company with footprints in South Africa, Vietnam and the Middle East. Today, its revenues are well over $750 million and one out of every three Indians is a Marico consumer. 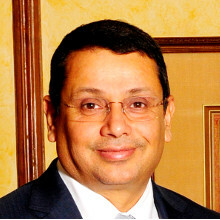 Uday Shankar is the chief executive officer of the Star TV India network and is widely credited for building a stellar leadership team at Star India and turning it into a formidable media company with properties across news, entertainment, sports and public service television. Under his stewardship, Star has created such television properties as the Indian soccer and kabaddi leagues, women-led soaps like Diya Aur Baati Hum, wound up Indian television's most iconic show Kyunki Saas Bhi Kabhi Bahu Thi and given birth to Satyamev Jayate, a first-of-its-kind public service TV show, hosted by Aamir Khan. 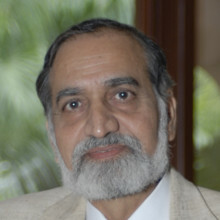 Shankar started his career as a political journalist with the Times of India in Patna, moved to Down to Earth magazine in New Delhi, switched to Zee TV, then to Sahara News and finally to Aaj Tak, where he created the "breaking news" phenomena that is, for better or worse, part of the lexicon of Indian TV journalism. Shankar is that rare journalist who has comfortably and successfully transitioned from being an editor to business leader and, in that avatar, has been a vocal supporter of digitising India's television industry. But his career trajectory would've been very different had he not moved out of Patna. Once an IAS aspirant, he junked the idea because he found it "brain-dead" and veered towards journalism. An alumnus of New Delhi's Jawaharlal Nehru University, Shankar lives and works in Mumbai. 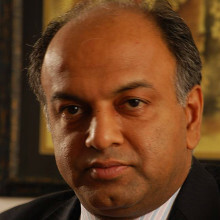 Analjit Singh is the founder and chairman of the Max India group that has interests in healthcare, life insurance and health insurance, built on the Rs 561 crore he earned after selling his stake in telecom company Hutchinson Max to Essar to Hong Kong-based Hutchison and the Kotak Mahindra Group in 1998. In a country whose corporate culture prides itself on family-run businesses, Singh is a rarity who wants to keep the interests of his family separate from those of his company. That's probably a lesson he learnt from the messy family split of 1990 in which his father Bhai Mohan Singh, founder of Ranbaxy, divided the family assets amongst his three sons – Parvinder, Analjit and Manjit. This Chinese wall also allows Singh to help his three children set up their own businesses. One of them is Antara, residences for senior citizens in Dehradun, started by his daughter Tara Singh Vachani. 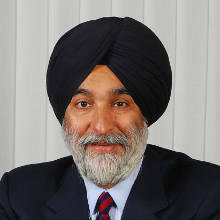 Singh, a resident of New Delhi and an alumnus of the Graduate School of Management, Boston University, is one of the founding board members of the Indian School of Business's Mohali campus.